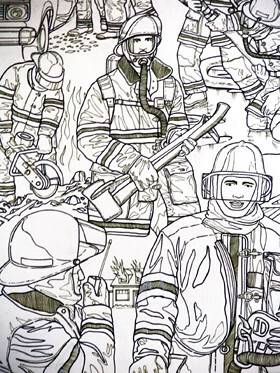 Back in 1996 I had the idea of creating customized fire fighting coloring posters. The plan was to illustrate a generic poster leaving a large area at the top blank. If a fire department ordered the posters I would include the fire department's name in that area when printed. They could then take these customized posters to their fire safety demonstrations, school groups etc. At the time I decided not to market and promote the idea. That decision was largely based on the price of printing such a large poster (18"x24")... 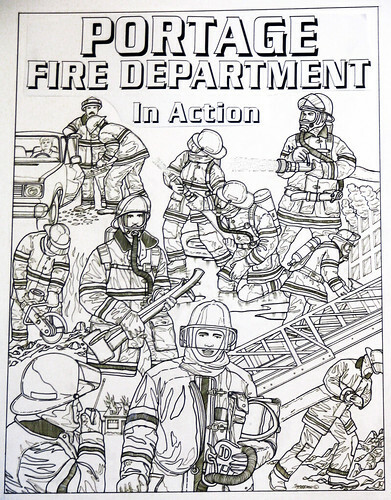 I doubted fire departments would want to pay $2.00 per poster. With Korean pop music blaring from the corner of a sweltering downtown parking lot, young men on roller blades glide past well-heeled professionals as excited groups of young women push around grocery carts. I have a internet biz site/blog. It pretty much covers internet biz related stuff. Cool blog,. peep,. internet web site marketing might help u out somehow,. catchya ,.,. Thank you for creating this blog. You have a lot of useful information! My site candle making kits has lots of candle making kits information you may enjoy. This post seems to be very popular among parasites. Well, I'm off to buy candle making kits with my poker winnings.